I've been following Anevay for a while now and watching the products they've brought to market. 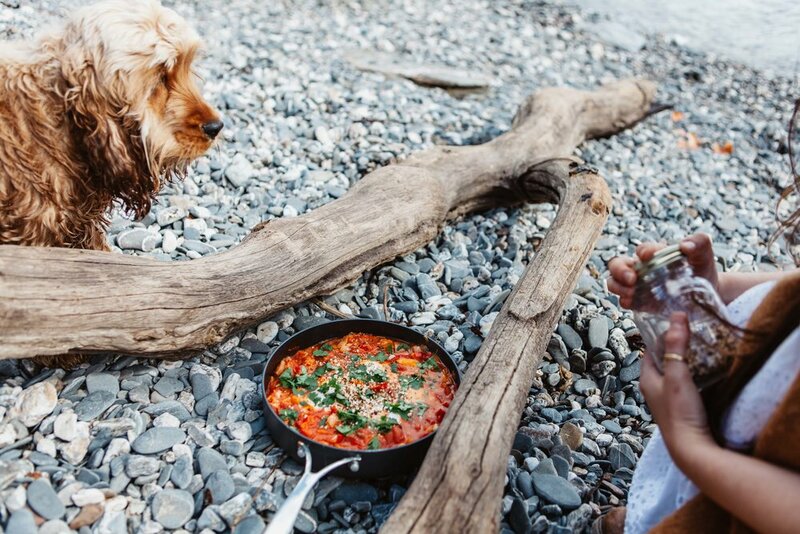 I liked their humanitarian roots and Cornish origins and after getting to use one of their stoves a while back see this blog post I reached out to them to see if they were interested in doing some work together. I get contacted a lot by different brands but I've learnt now that this whole blogging malarkey is a bit of a two-way process and It's taken me a while to build up the courage to reach out to brands that I really like the look of. When Anevay responded saying that they would send me a couple of stoves and see what I could do with them I jumped with joy and accepted their challenge. 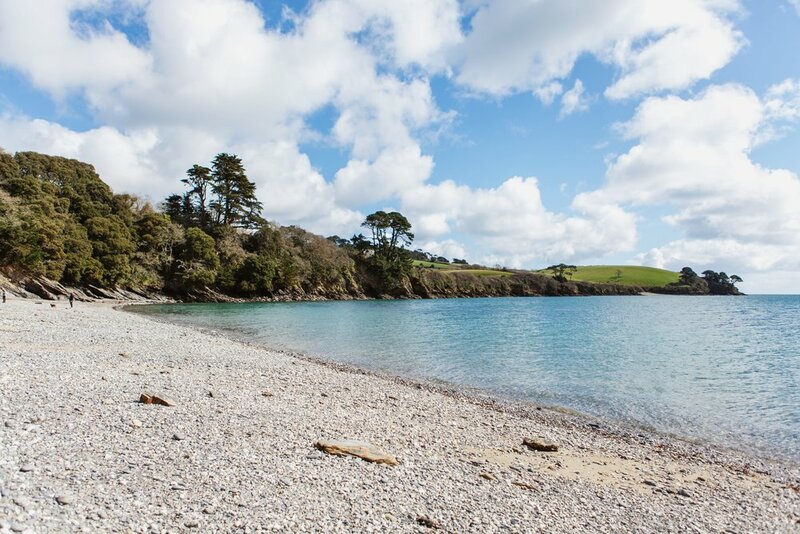 I brought my friend, and renowned Cornish photographer, Lizzie Churchill along for the adventure. 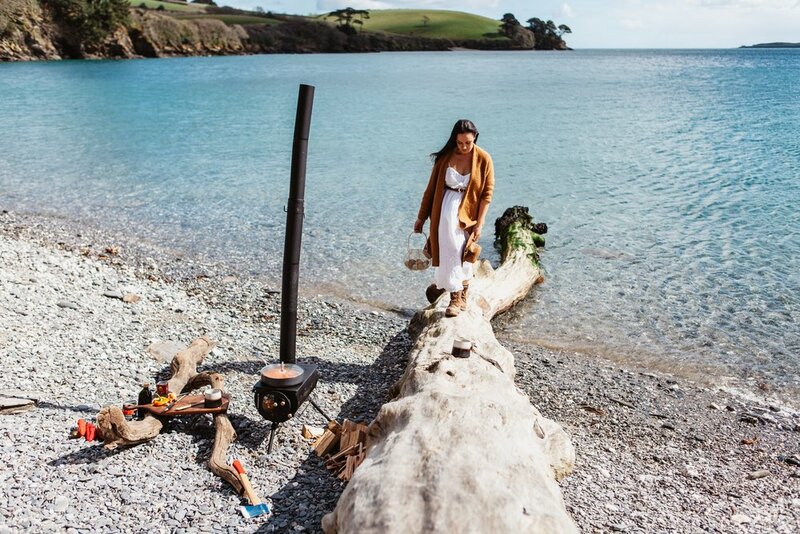 A while back I noticed that a tree had blown down on the River Helford and ever since I saw it I was desperate to cook alongside it. Yes, I'm a sucker for natural props. Now that our campsite for the day was chosen it was time to decide what to cook. Given that my chickens are now laying (Finally! Those who have been watching my Instagram stories will know the torment they have given me) and our house has a constant surplus of eggs, I decided to get creative with a breakfast recipe that is hugely popular in Jerusalem and involves poaching eggs in a tomatoey, peppery, delicious sauce perfect for dunking chunks of sourdough into. The recipe is known as Shakshuka and if you've gone anywhere near a food blog recently it's likely you will have seen a version of this dish already. Its certainly on trend but Shakshuka is so much more than a trend to me. It's a memory that lights up all of my senses and transports me back to the ancient markets of Jerusalem old town where I ate this every morning with my Sephardic Jewish friends. Everyone who has ever eaten Shakshuka has an opinion on the best way to make and enjoy shakshuka. The way that I'm making it today is traditionally the kind that it served in the summer and Autumn seasons. In the winter the addition of potatoes is often seen and in the spring there's usually an aubergine thrown in for good measure. Chopped Coriander and some dukkah to serve. 1. Make sure the stove has had enough time to properly heat up (Open the front door if need be to allow more air flow and really get the fire going). Heat Olive oil in a large frying pan on the stove and add onions gently browning them. 2. Add all the bell peppers, garlic and Harrisa and cook them until they go soft. A lidded pan is helpful here if you have one. If not it will just take a little longer that's all. 3. Once the peppers have begun to go soft add one tin of the chopped tomatoes and stir in the Harissa, cumin and Zataar. Wait until that is bubbling and then add the other tin of tomatoes and stir through. 4.Whilst the sauce is still heating up the second tin of tomatoes make a few egg sized divets in the mix. Crack a whole egg into each one of the divets and pop the lid on. Cut some bread and lightly toast it directly on top of the stove. 5. Wait until you begin to see that the whites are cooked and the yokes are still runny and then take it off the heat. 6. Serve with a sprinkle of chopped coriander and a pinch of dukkah. Place your toasted sourdough on the side and serve. You will not be disappointed I promise. So what is the stove like to cook on? Well after cooking not only this recipe but a few other recipes too (those blogs are coming soon) I can honestly say that the Frontier Plus by Anevay is a lot of fun. The only limits are your imagination and you really can get quite experimental with it. If you're expecting lightning fast meals cooked with zero hassle then I suggest you stick to the cafes on the beaches. 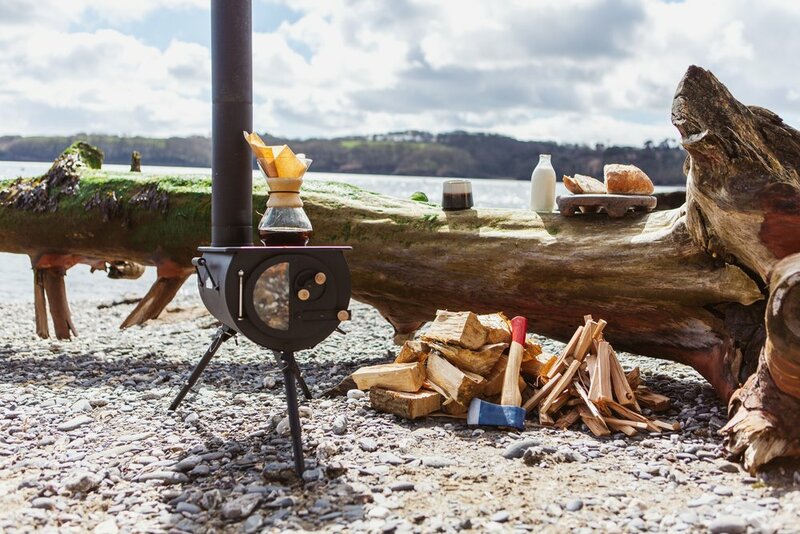 If you want to pitch up to a secluded location with no one else around, set up camp and enjoy an hour or two of slow living, then this stove is a great piece of kit to facilitate some fun adventures for you and your family. 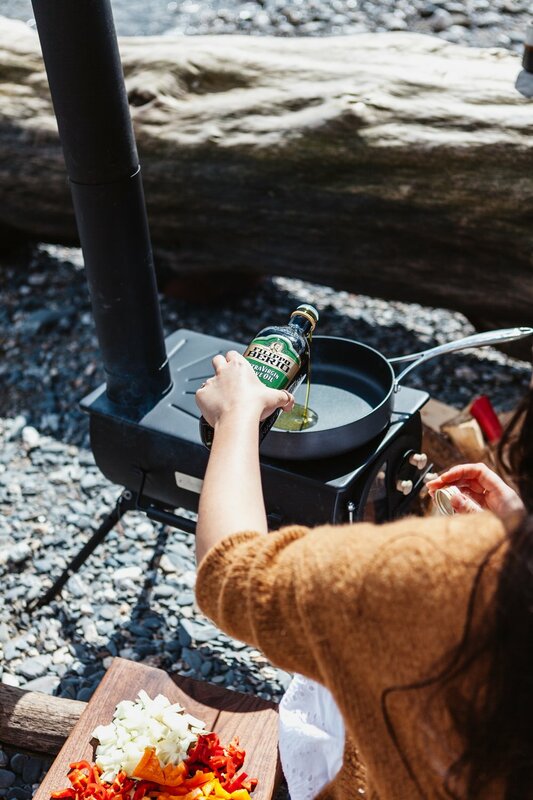 I would also suggest that you get the handy carry bag that is specifically made for this stove as It's quite helpful to have your hands free when you're carrying it to your location as these hands can be used to carry wood, picnic baskets and other such adventure paraphernalia. Another top tip is that It's wise to paint numbers on the flue pipes so that you can quickly piece it together and know what goes where. How easy is it to transport? Well if you're expecting your toddler to double up as a sherpa and carry it for you then I'm afraid to say that you're out of luck. Despite being really accessible to entry-level outdoor cooks, this is still a serious bit of kit that's had a lot of design and manufacturing go into creating it. It's stocky and steady but not overly heavy. To put it into context I carried this in the bag on my back, a sack of wood in one hand and a large shopper of food in my other hand. I am certainly no gym goer but this was perfectly manageable for me. It also packs down (in the carry bag) nice and compact which is great for storing in your campervan or boot of the car. How much wood does it guzzle? This has got to be one of the best features of the Anevay Frontier Plus stove. I have learnt the hard way that when cooking over wood fires It's always best to have a surplus of wood than not enough. This means that I always make sure that I have more wood, kindling, natural firelighters and lighters than I think I will need. I was so surprised how hot it got and how well it cooked on such little amounts of fuel. We had to carry wood back to the car at the end of the day. What else is great about the stove? One thing that I love about the stove is that it makes absolutely zero impact on the natural environment leaving no trace that you've ever been there. 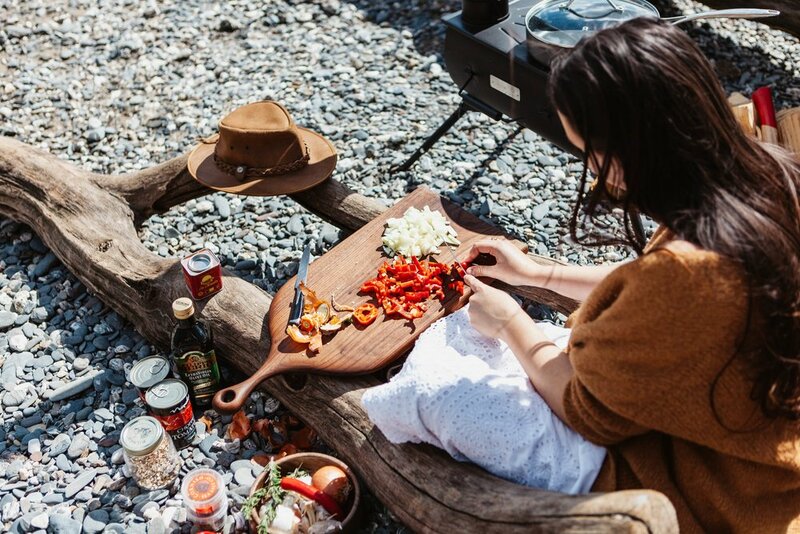 If you were going away camping for the weekend, setting this up in your bell tent would also make a super efficient heating system as well as a ready-to-go stove whenever you need it. 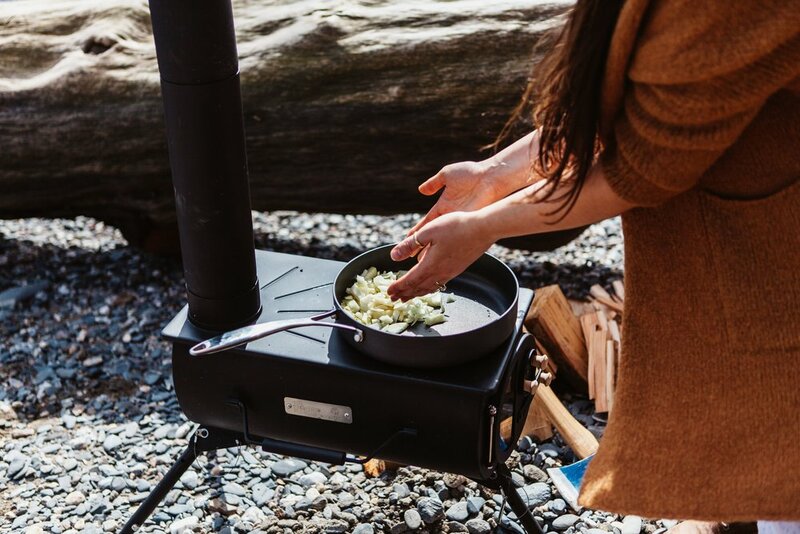 If you're interested in checking out the stove you can find it on Anevays website by clicking here and you can find the carry bag that I spoke about here I also have a special discount code that can be used by my readers. Simply type 'stovesincoves' at the checkout for 10% off. It expires Sunday 29th April. Do you have an Anevay stove? let me know in the comments below. I'd love to know what adventures you've taken yours on. **I was gifted this stove by Anevay and paid to create some content for their social media but all my thoughts here and on my Instagram are my own and I only work with brands that I genuinely love.